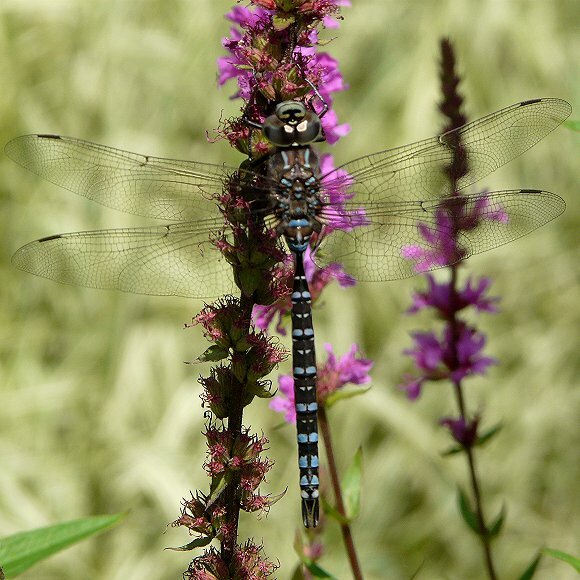 Return to Birding Ottawa Table of Contents. 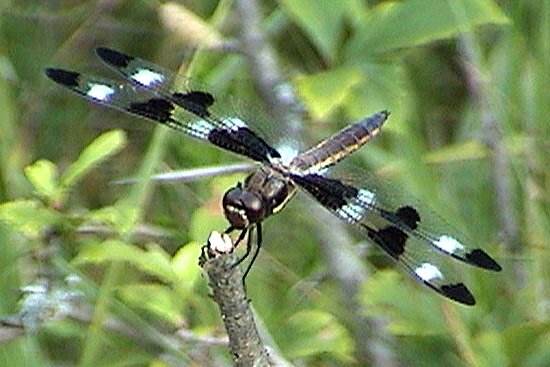 Most birder's find themselves "distracted" on occasion by Dragonflies. 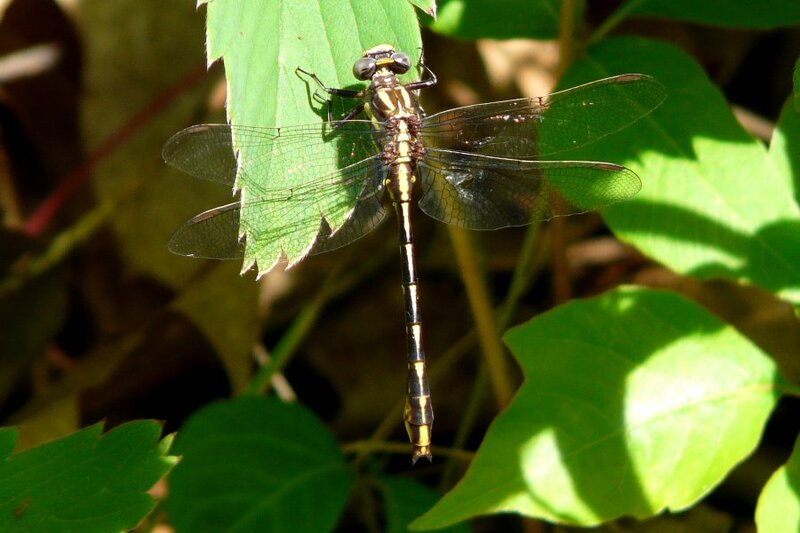 Until recently it was very frustrating, since no field guide existed for these magnificent but harmless creatures. 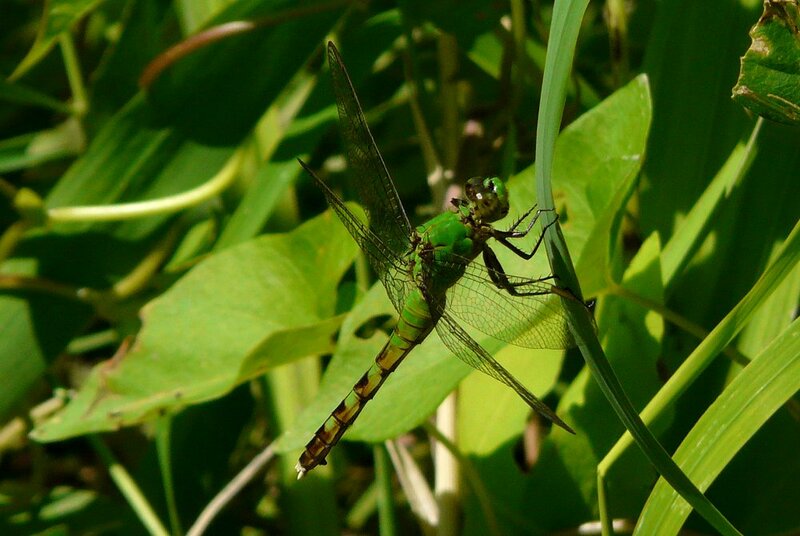 Now we have Dragonflies through Binoculars by Sidney W. Dunkle and Stokes Beginner's Guide to Dragonflies by Blair Nikula and Jackie Sones to aid us. 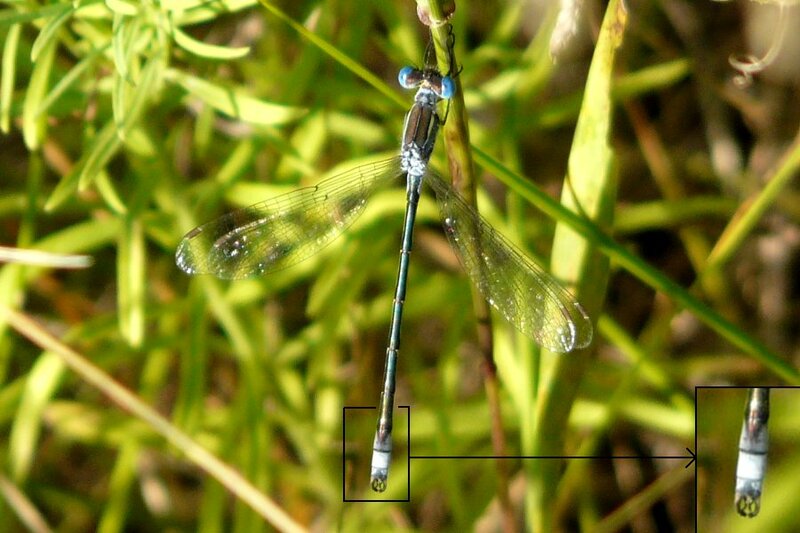 It is still difficult, if not impossible, to visually separate some species. 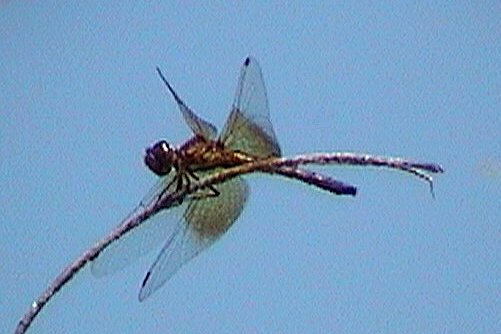 But hunting these handsome fliers can be great fun, especially in the heat of the day when most birds are quiet. 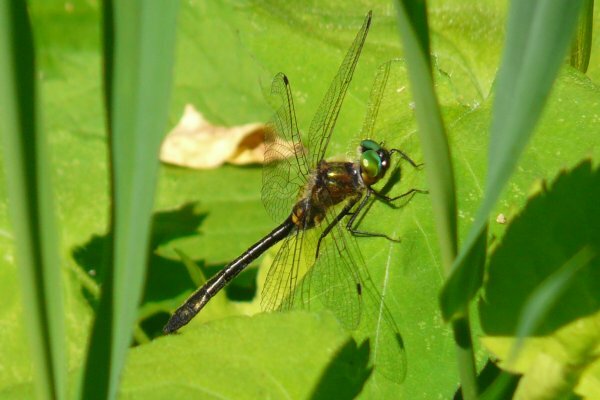 Ottawa-based information on the Odonata is now better represented than that of most areas. 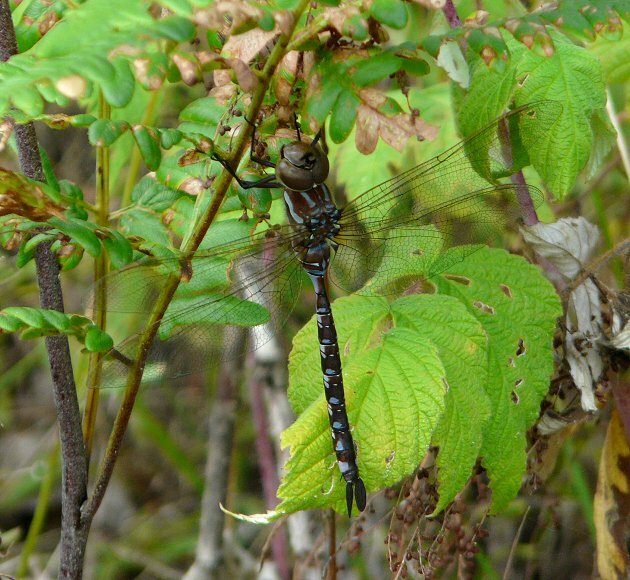 New in 2008 is the Field Guide to the Dragonflies and Damselflies of Algonquin Provincial Park and the Surrounding Area written by Colin Jones and Matt Holder and illustrated by Andrea Kingsley and Peter Burke. 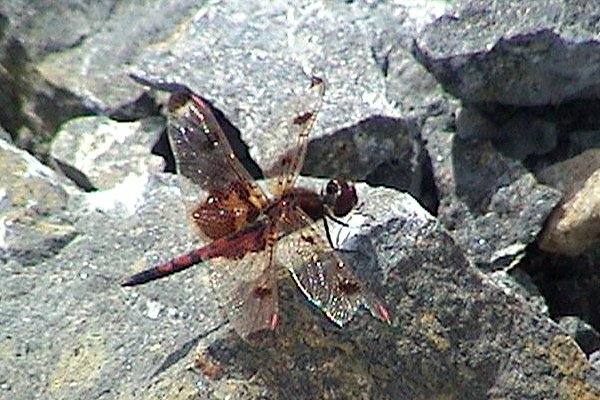 While Algonquin is somewhat to the west, the guide does cover Eastern Ontario and Western Quebec to just east of Ottawa. 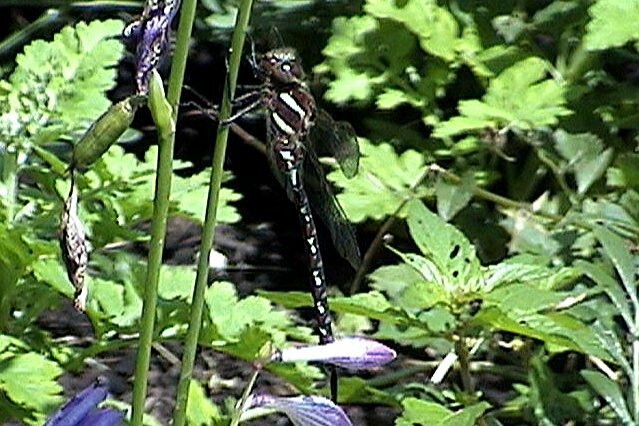 It also illustrates all the species found on the 1998 Ottawa checklist mentioned below. 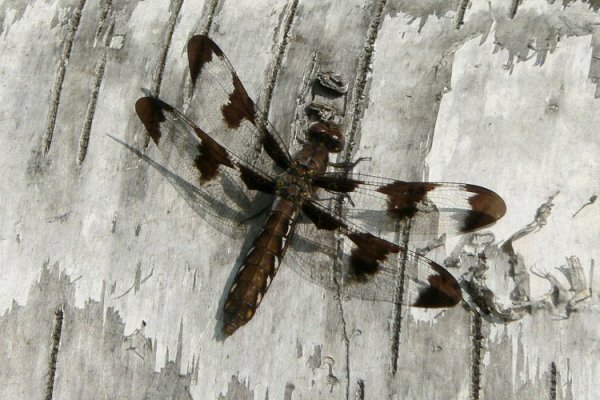 This book is produced by The Friends of Algonquin Park, and is available online from The Friends of Algonquin Bookstore. 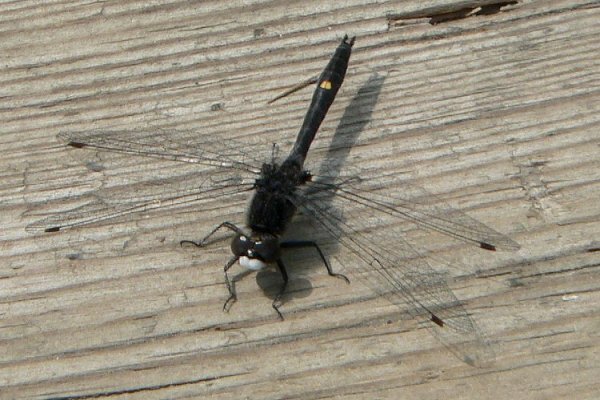 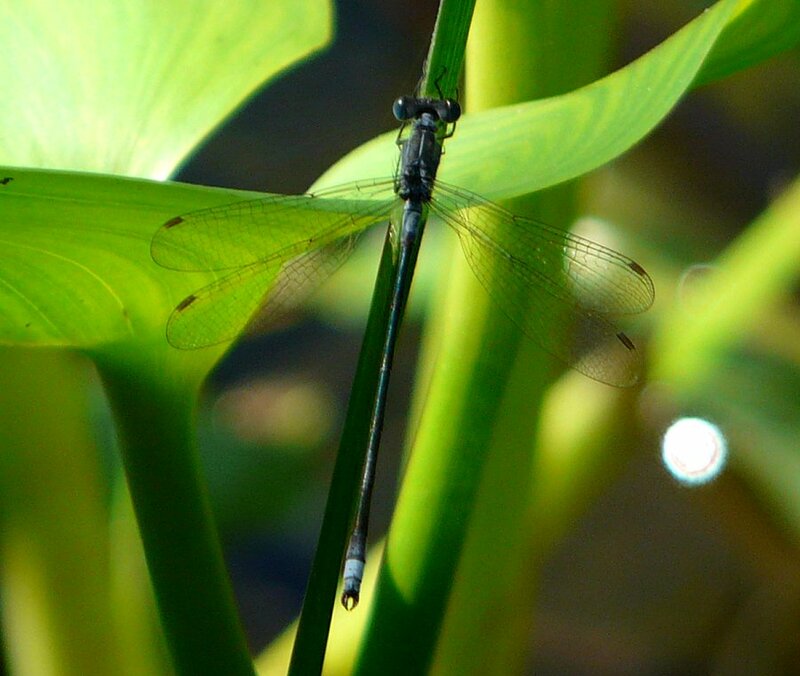 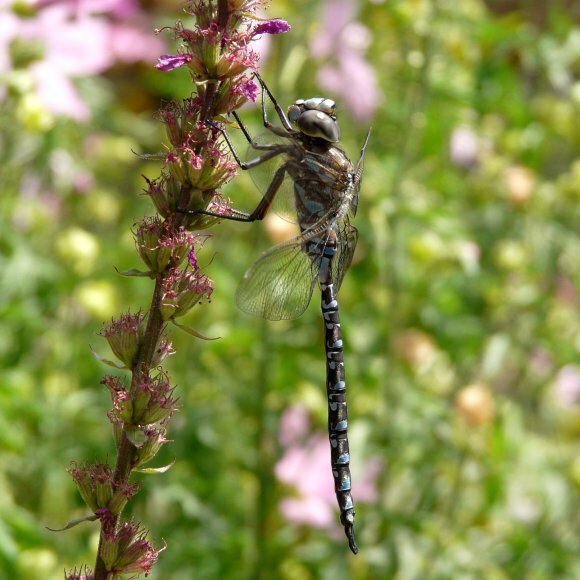 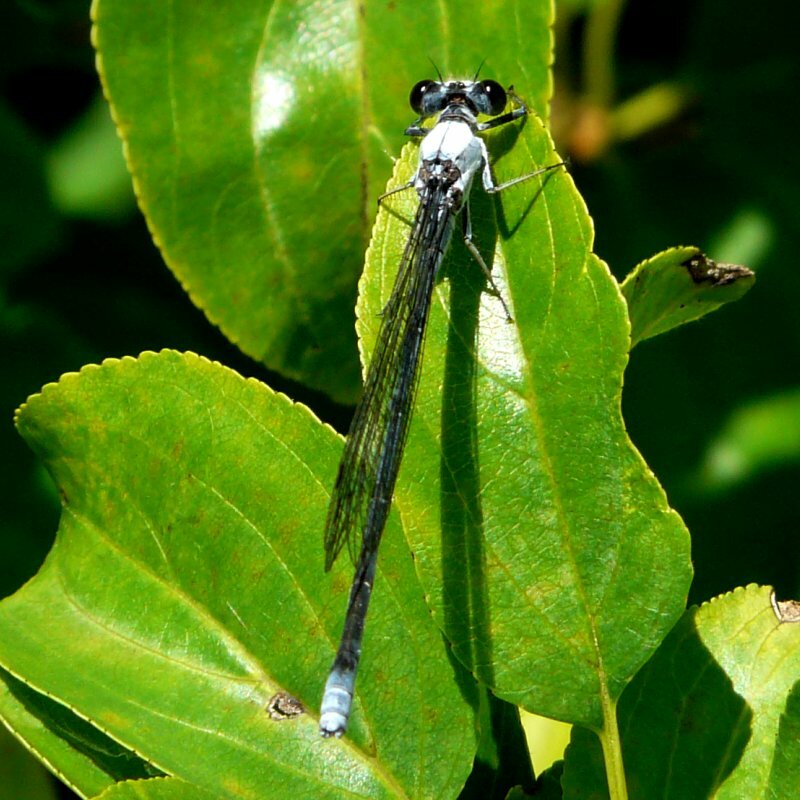 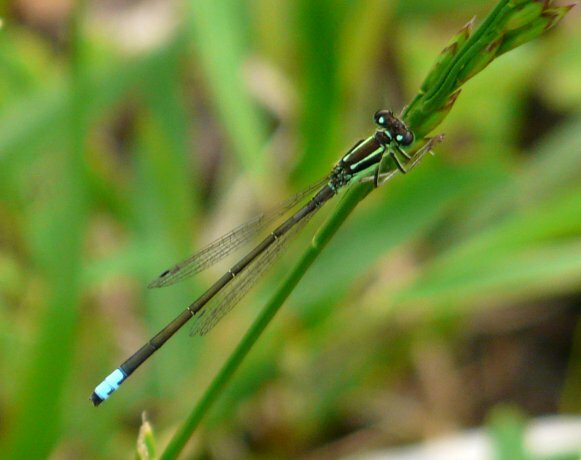 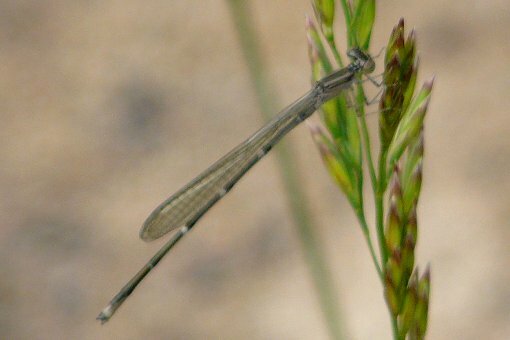 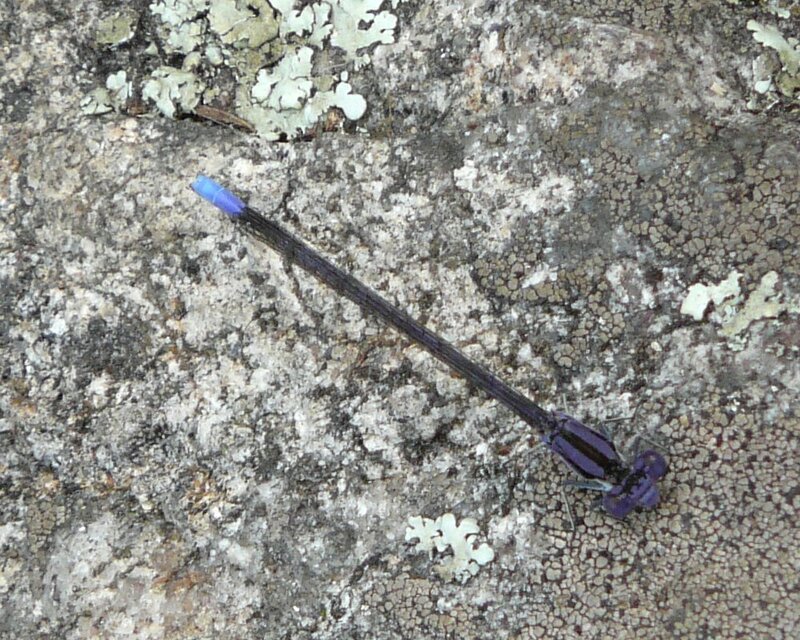 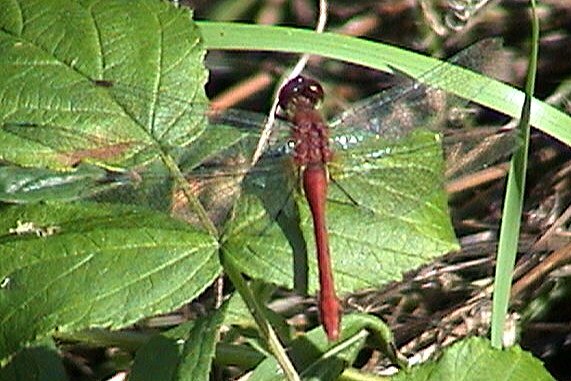 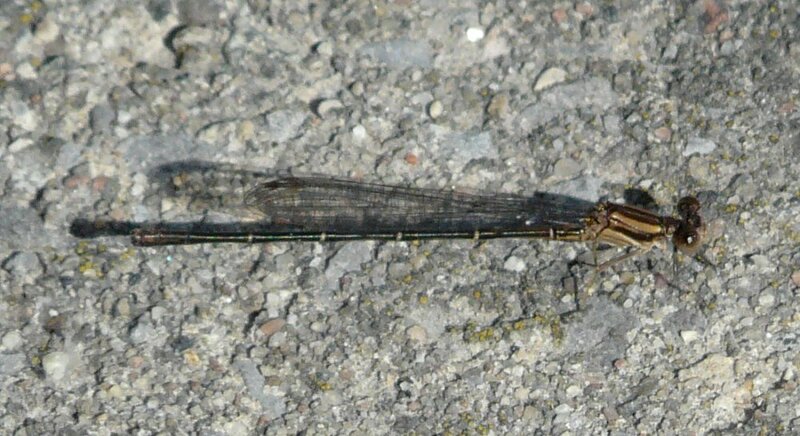 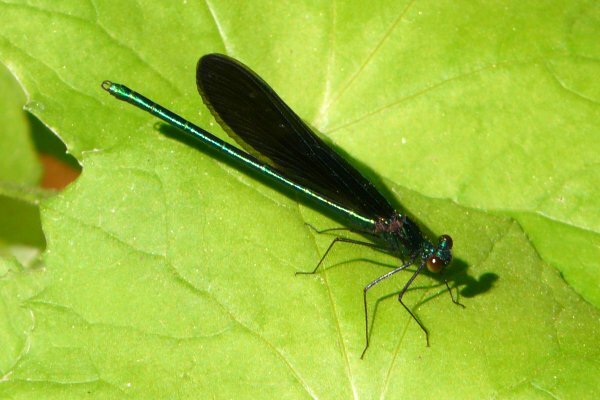 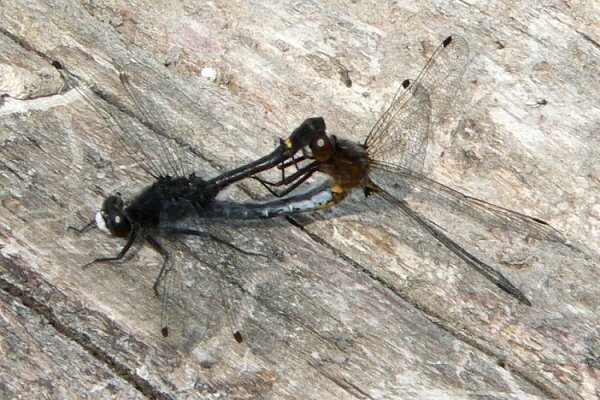 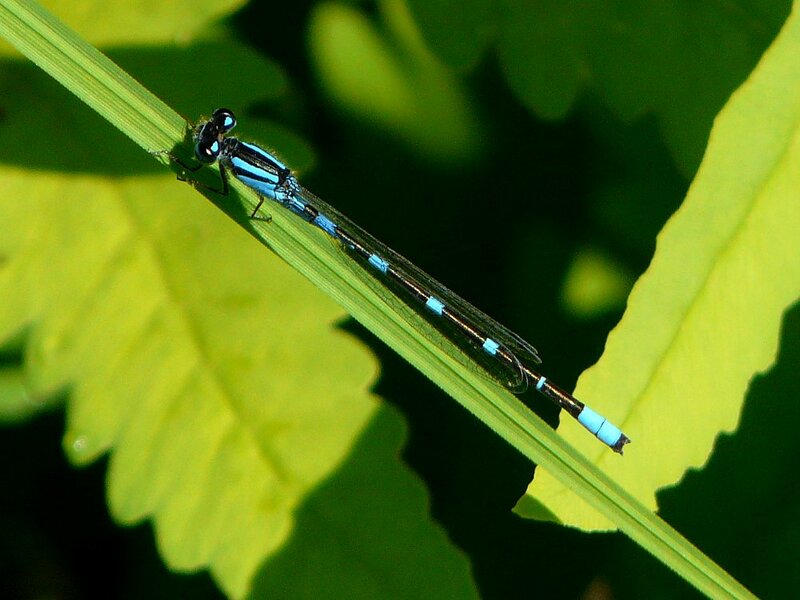 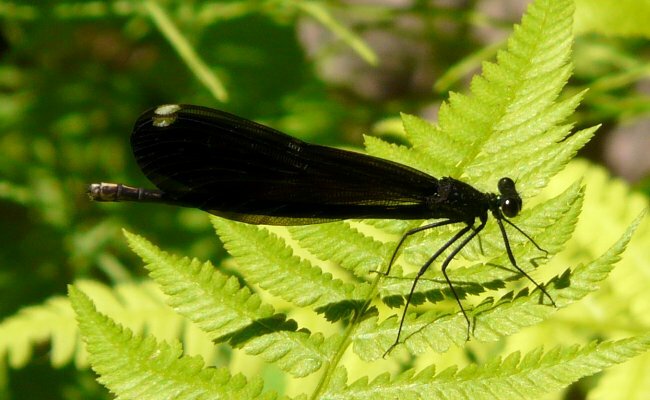 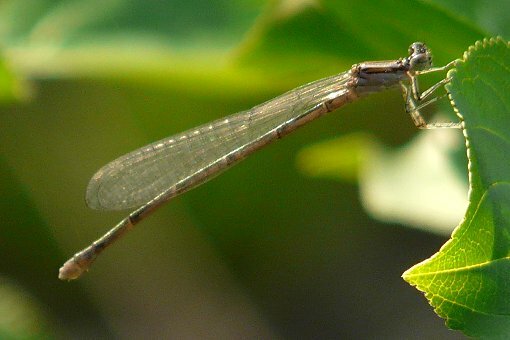 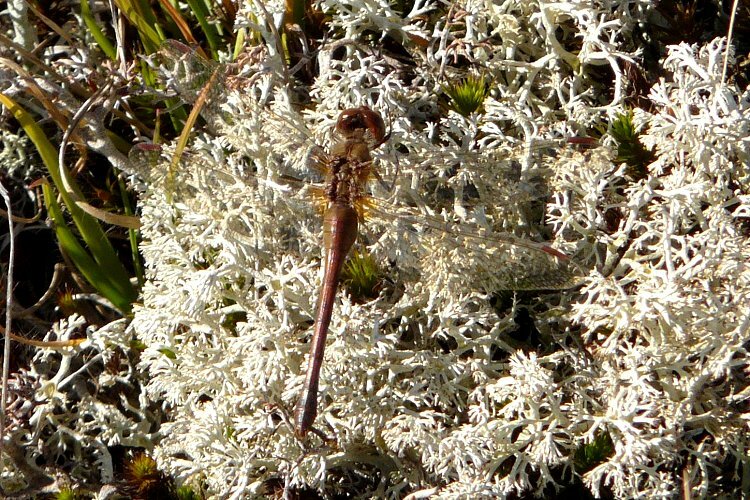 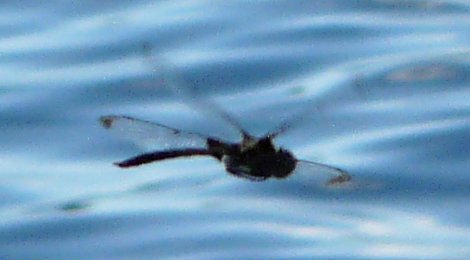 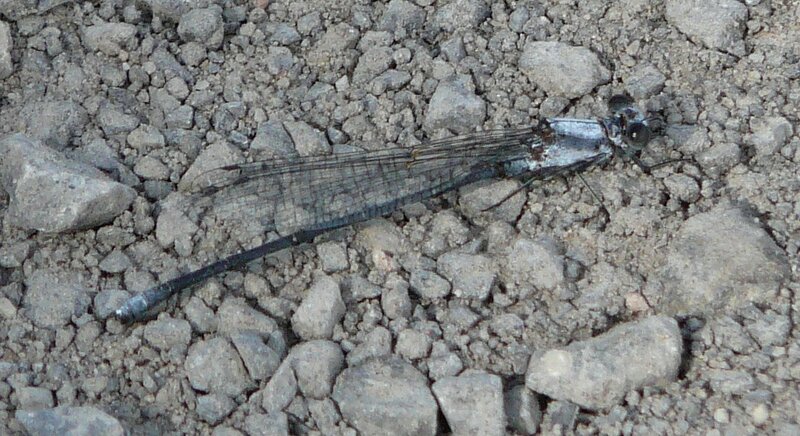 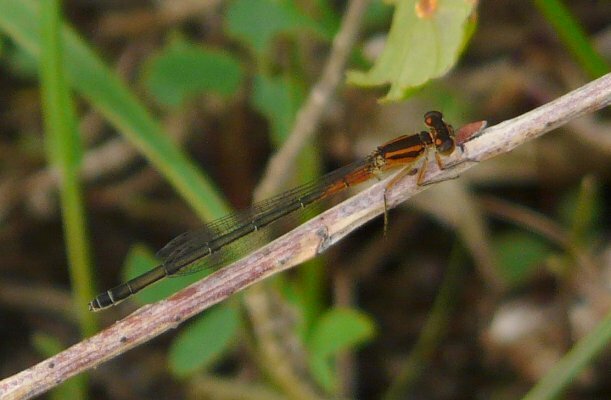 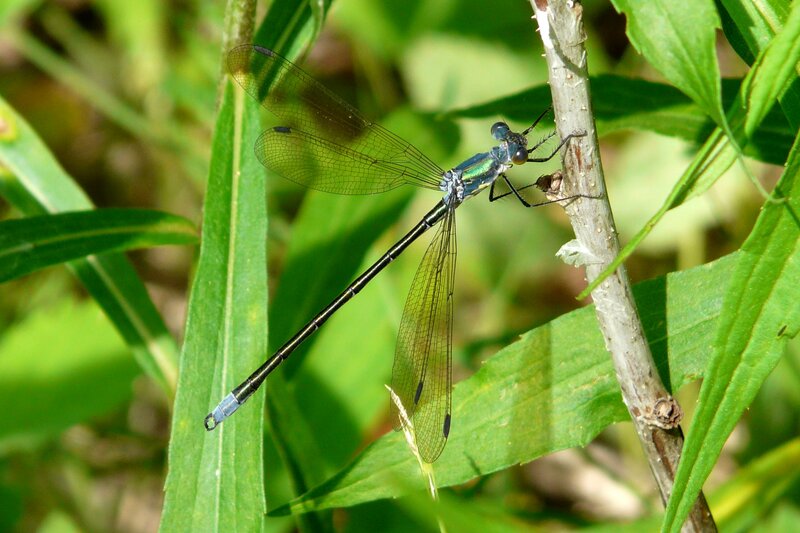 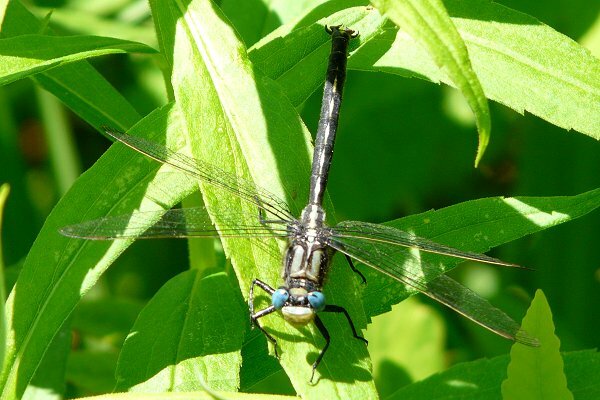 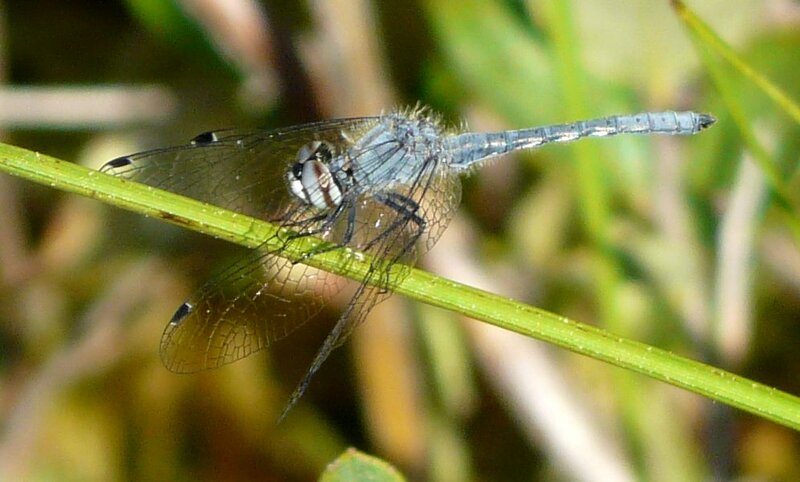 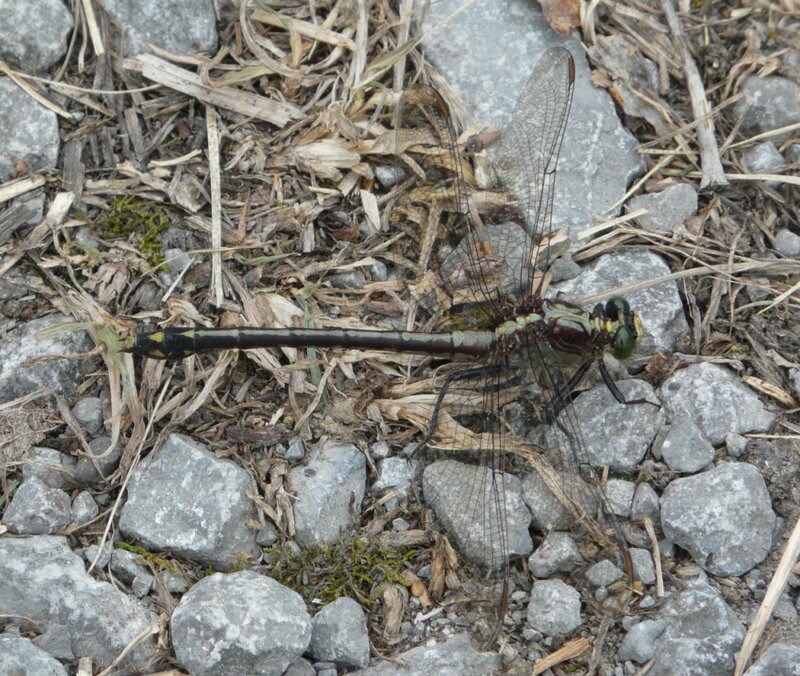 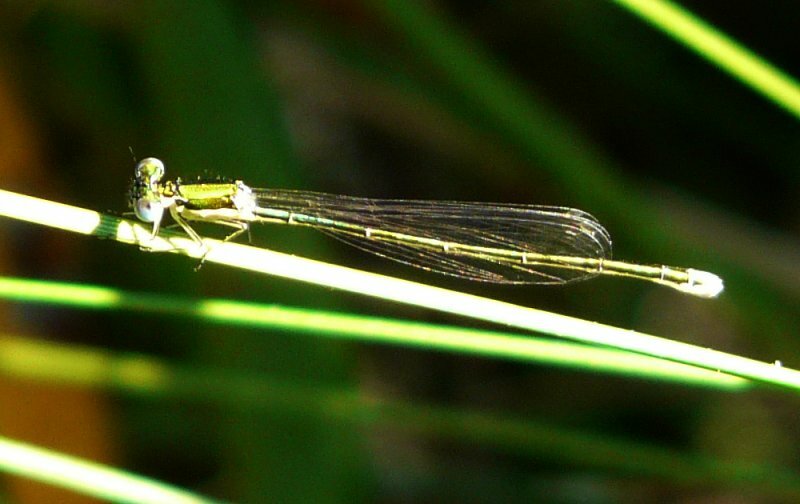 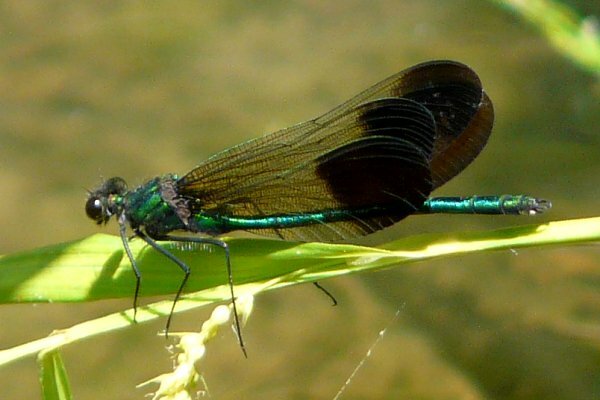 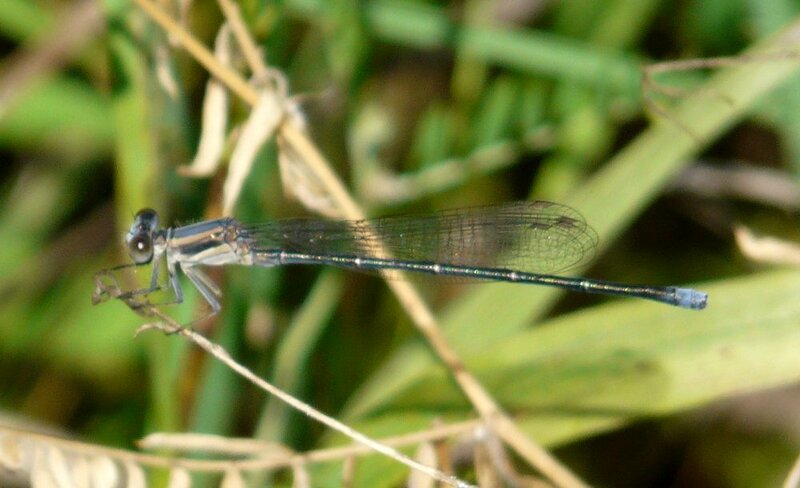 Another source of local information, this one conveniently on-line, is John Sankey's marvellous website, Guide to the Adult Damselflies and Dragonflies of the Ottawa District. 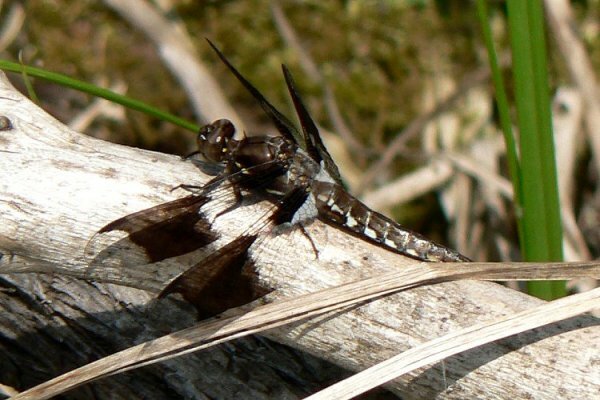 His site is packed with useful information, including an identification key, and has a local checklist complete with habitat preferences. 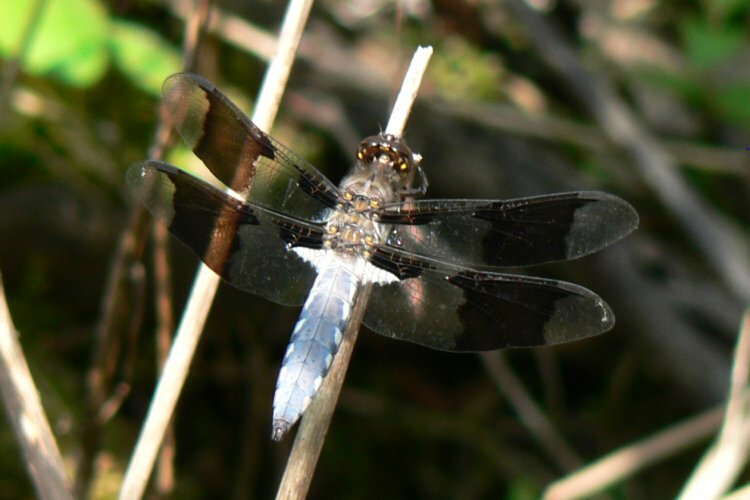 Here is a link to an excellent web resource for adjacent New York. 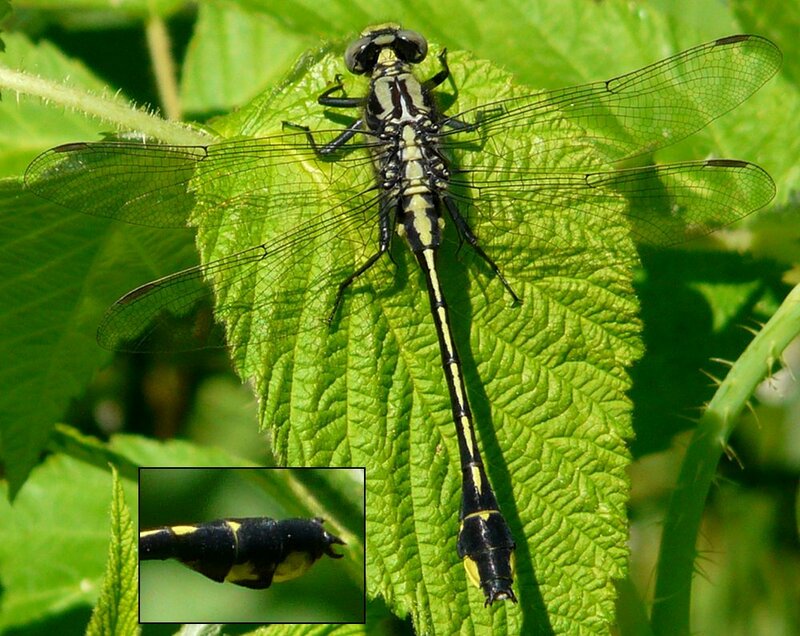 For broader North American coverage, including photos, indentication tips and distribution maps, see OdonataCentral. 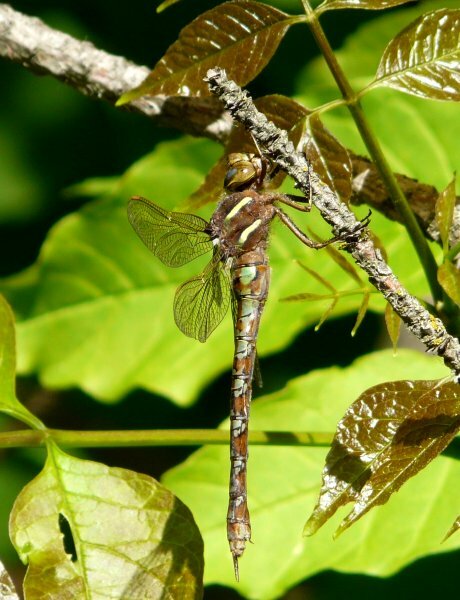 Somewhat further south, but still useful in our area is the Dragonflies and Damselflies of Northeast Ohio, an excellent 2002 guide published by the Cleveland Museum of Natural History. 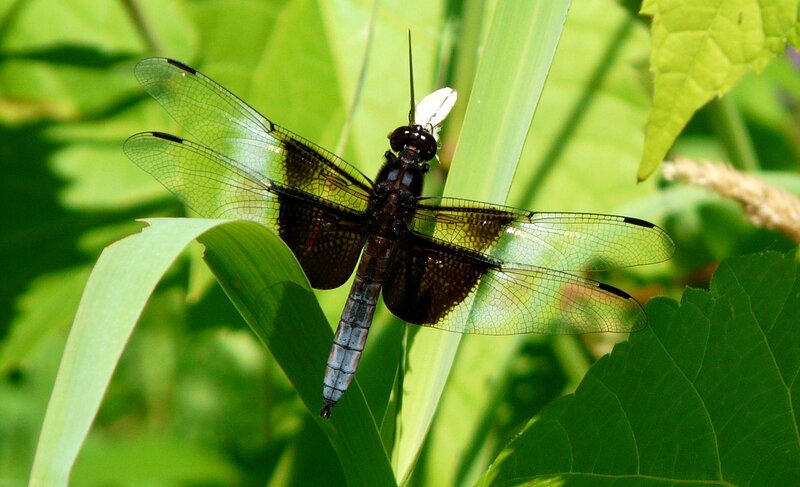 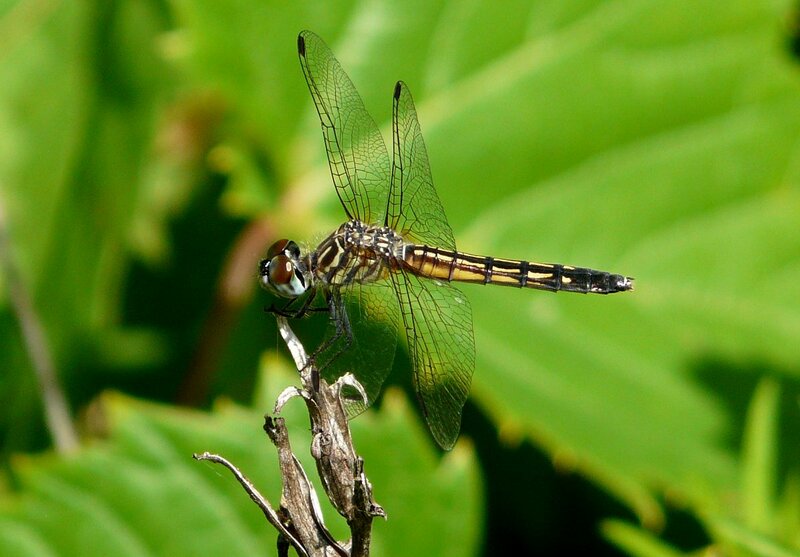 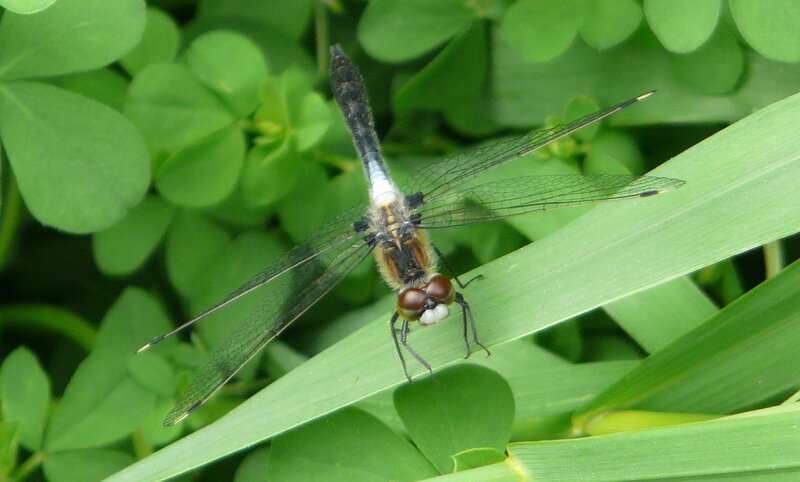 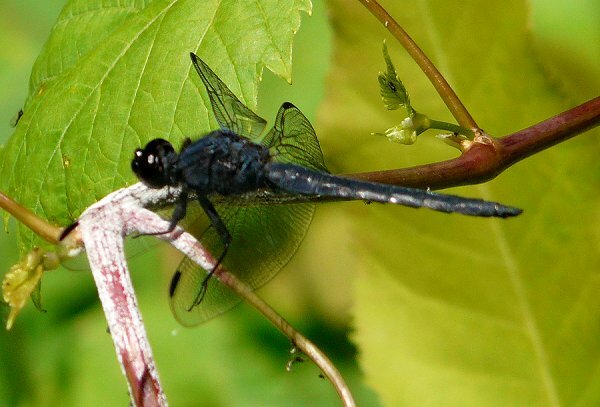 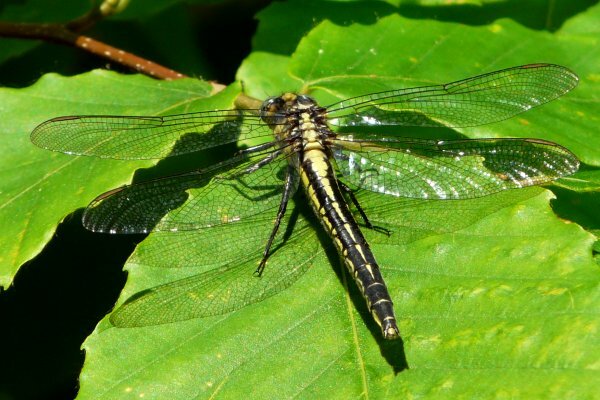 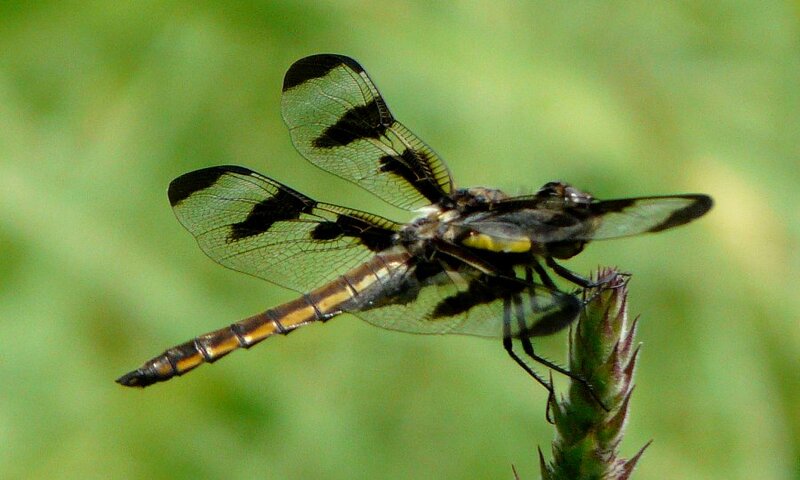 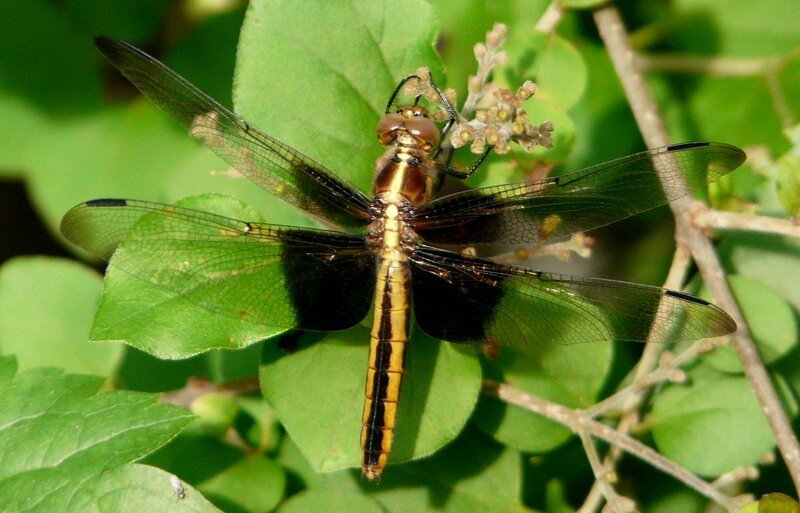 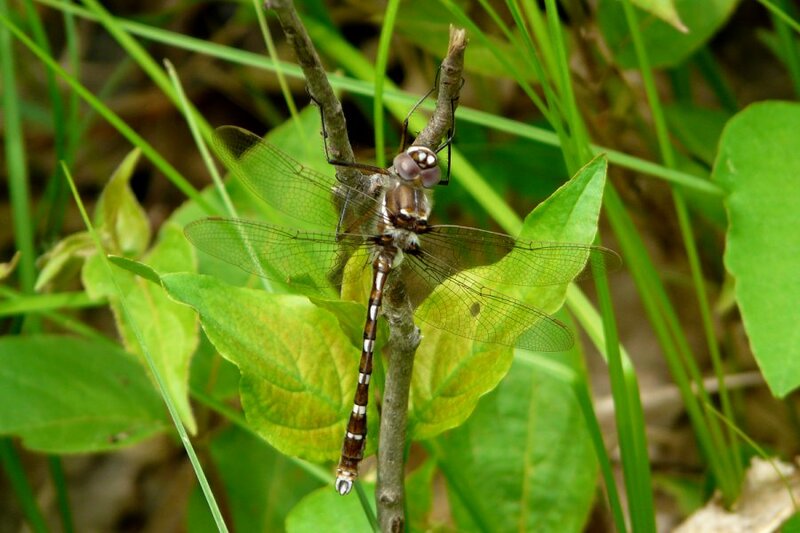 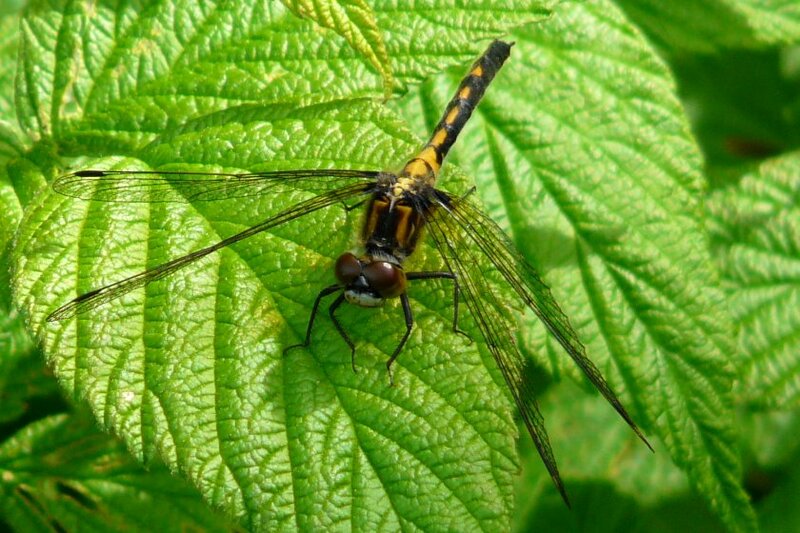 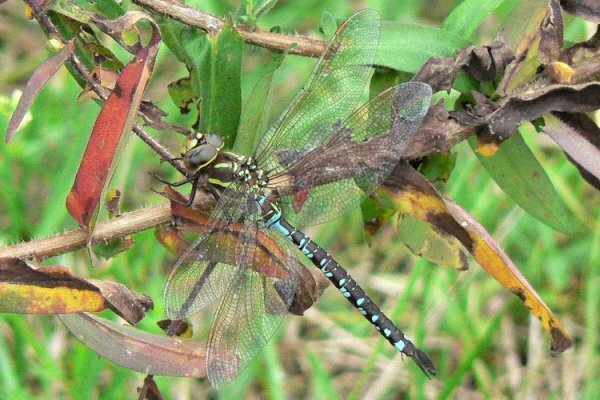 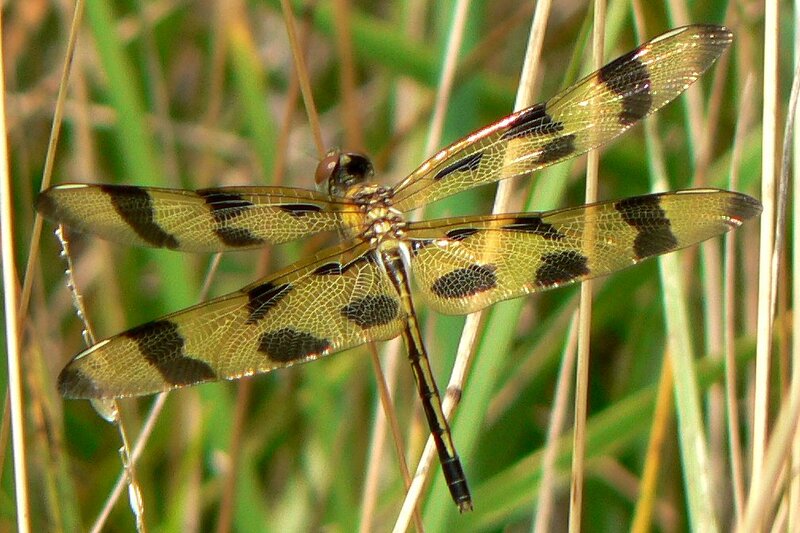 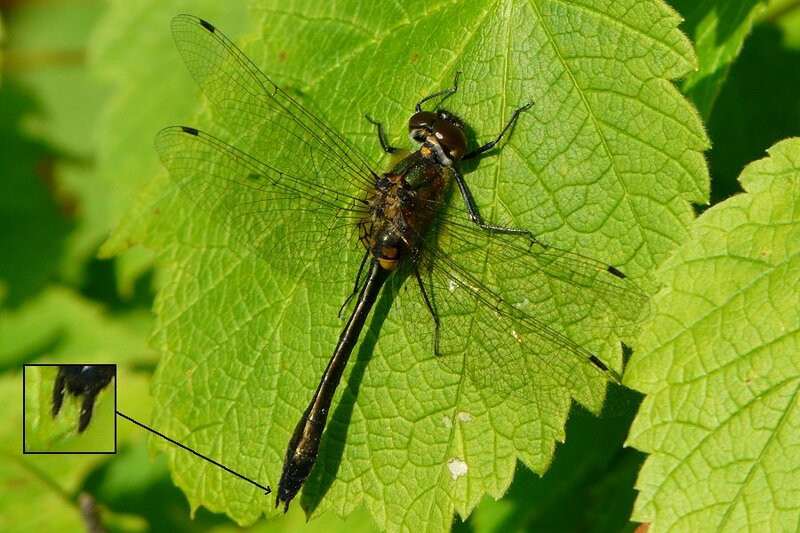 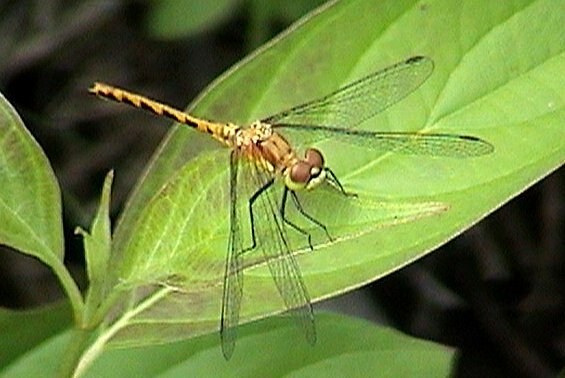 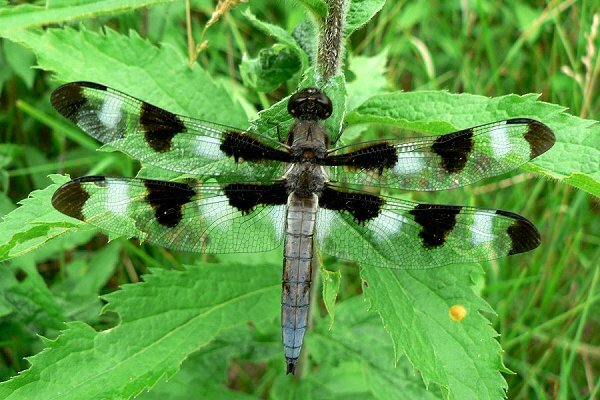 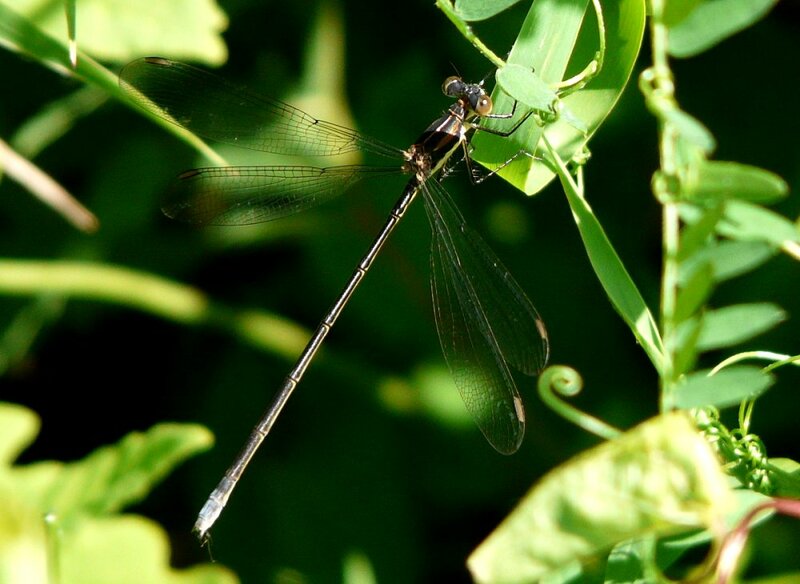 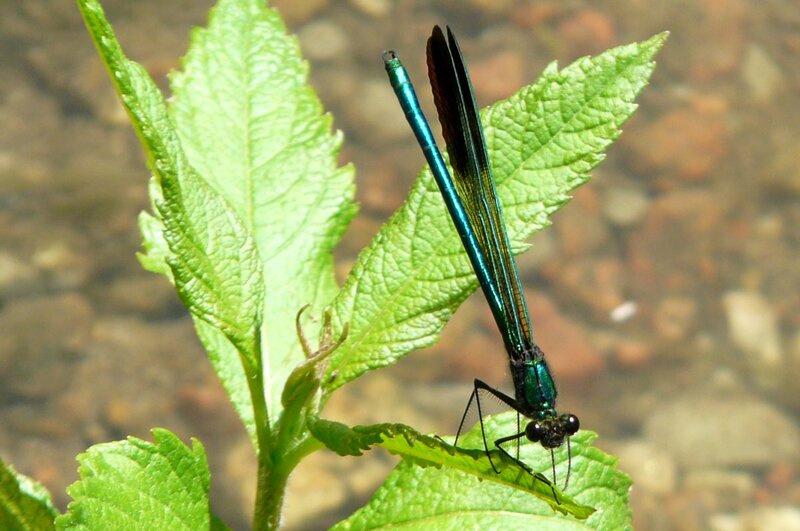 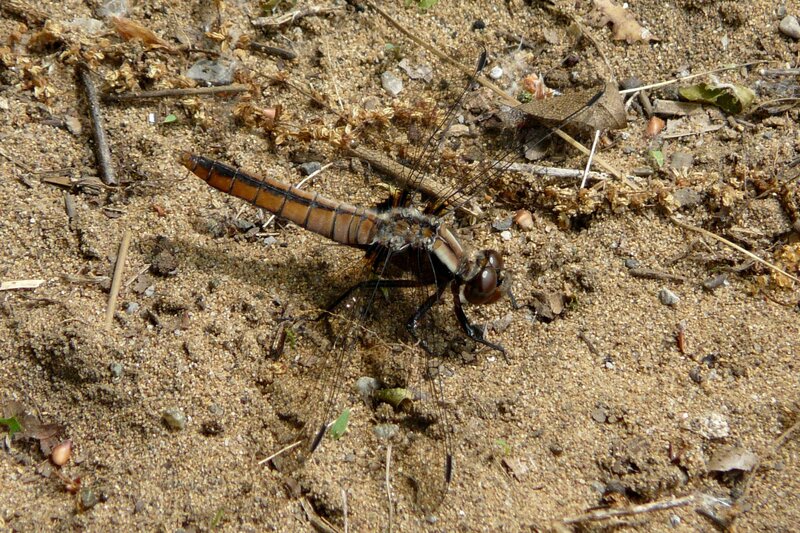 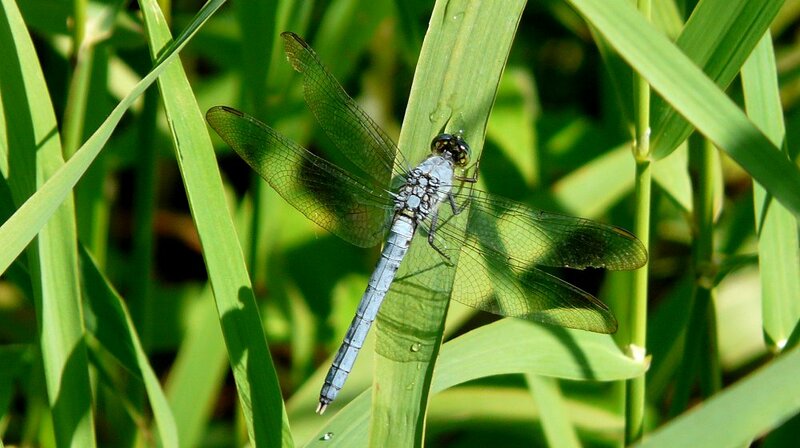 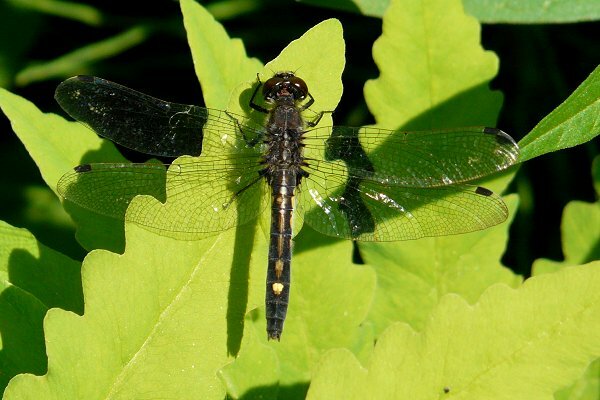 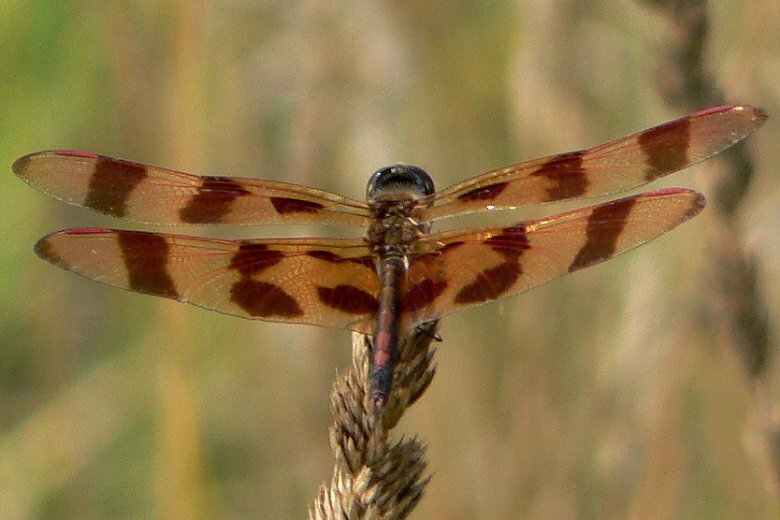 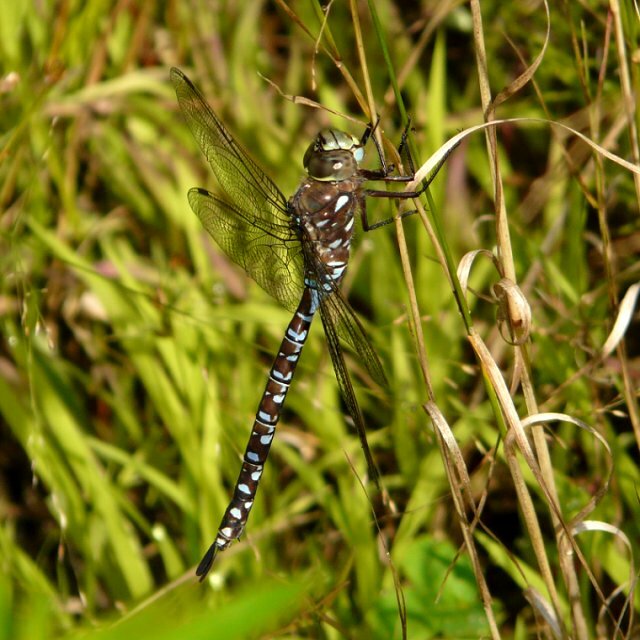 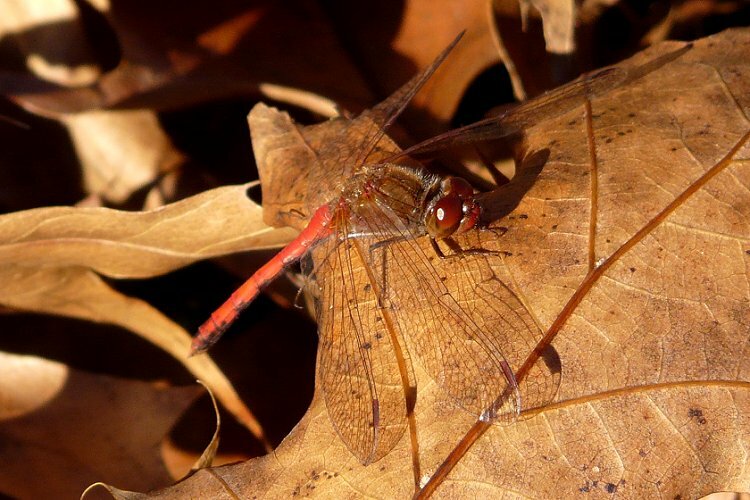 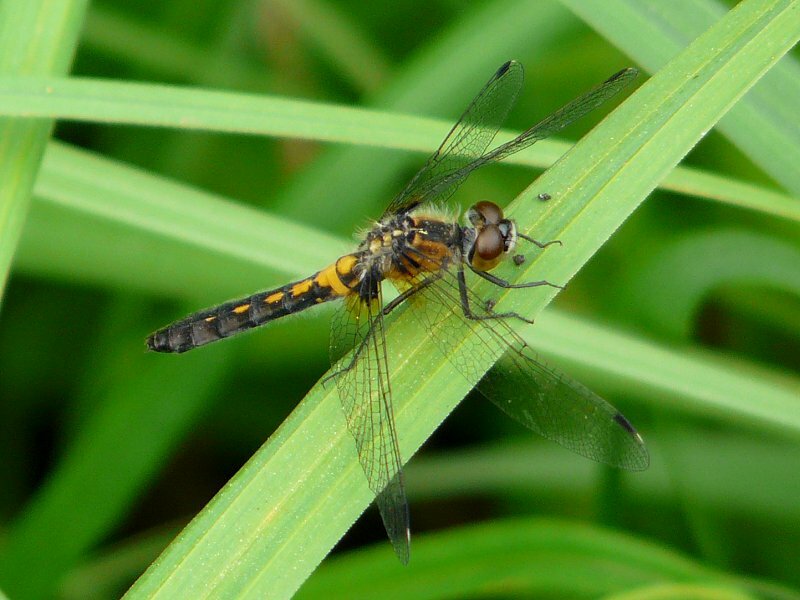 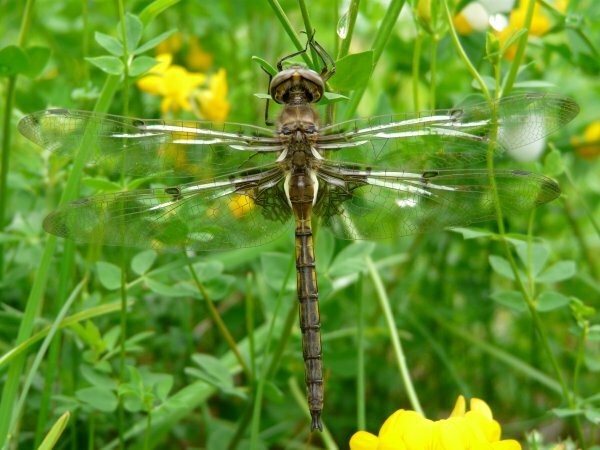 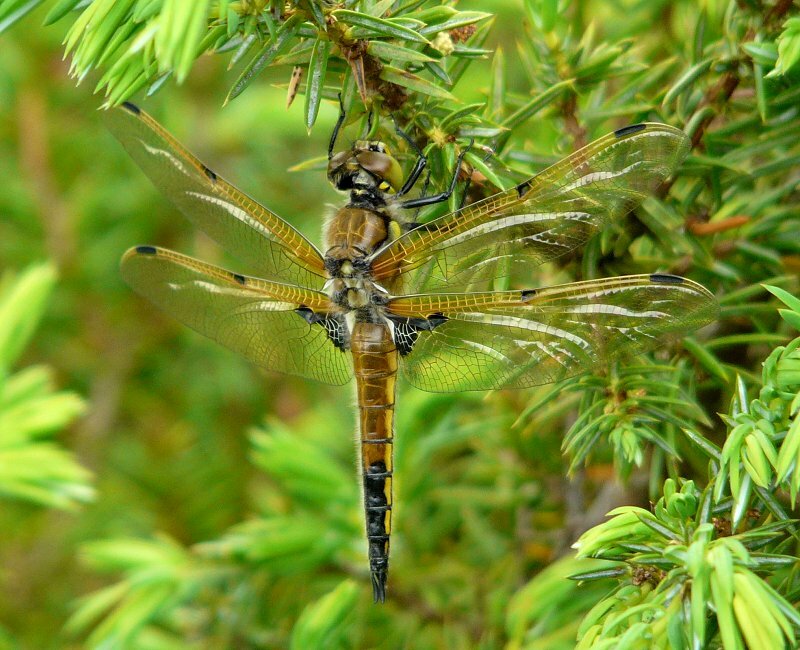 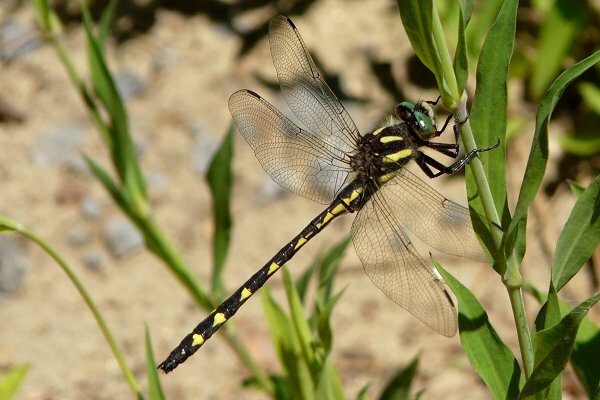 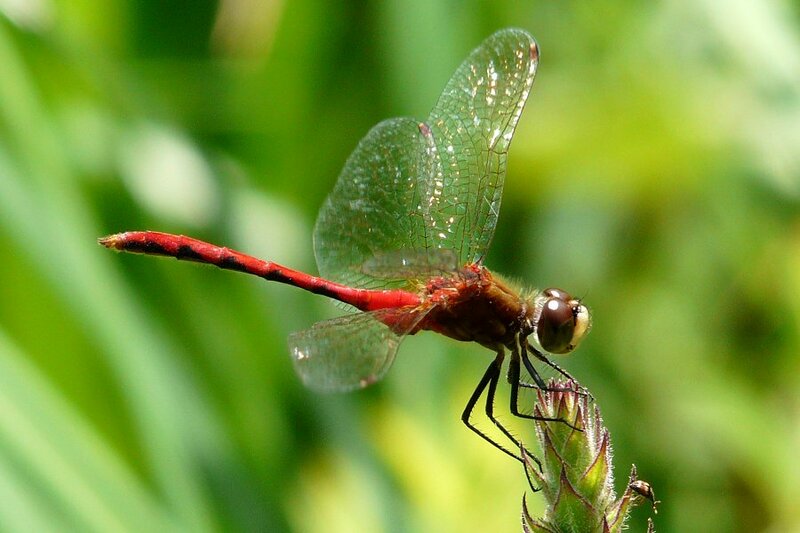 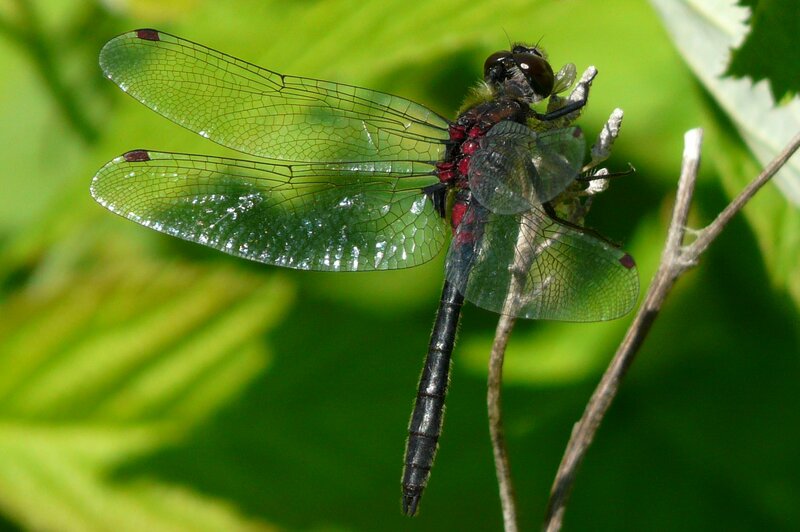 A downloadable pdf of the briefer Dragonflies and Damselflies of Ohio is available through the Ohio Department of Natural Resources. 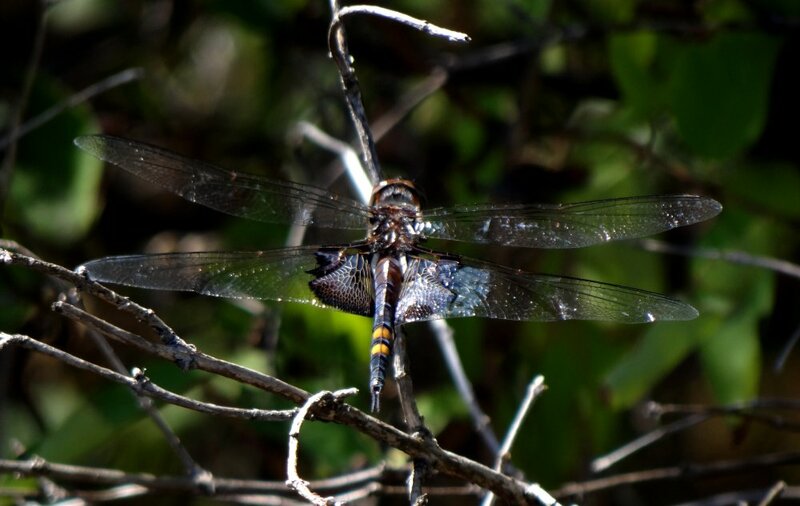 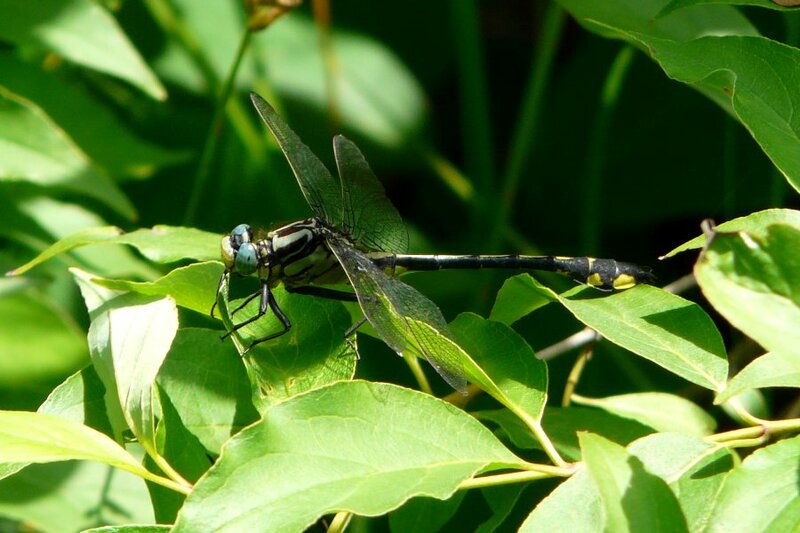 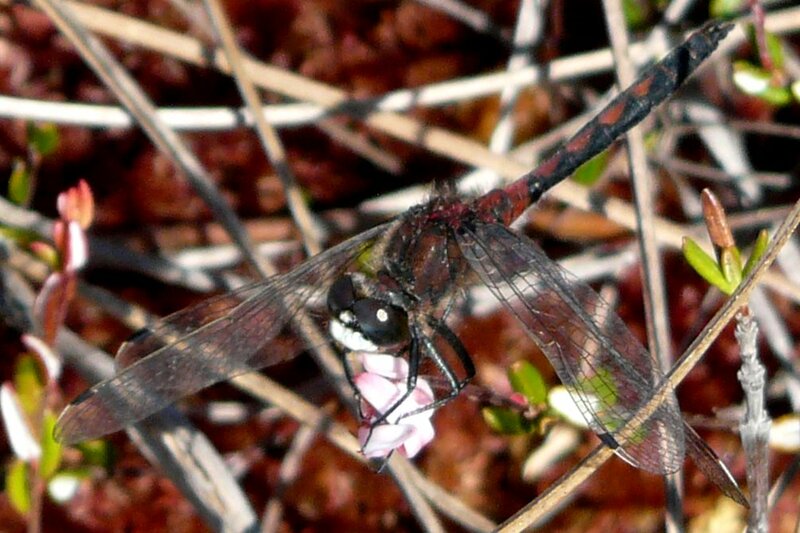 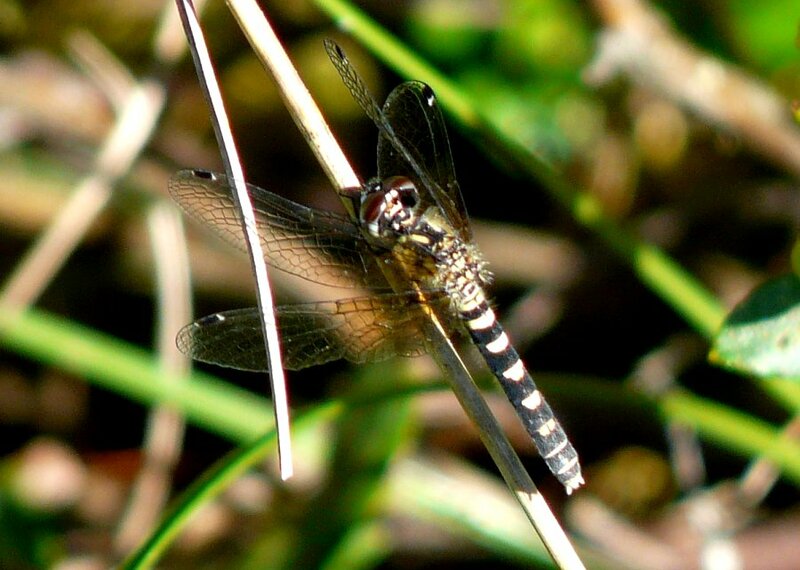 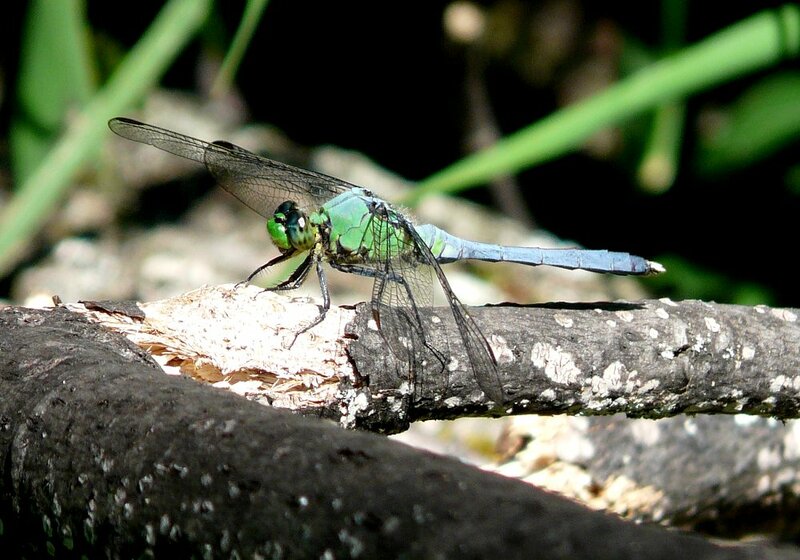 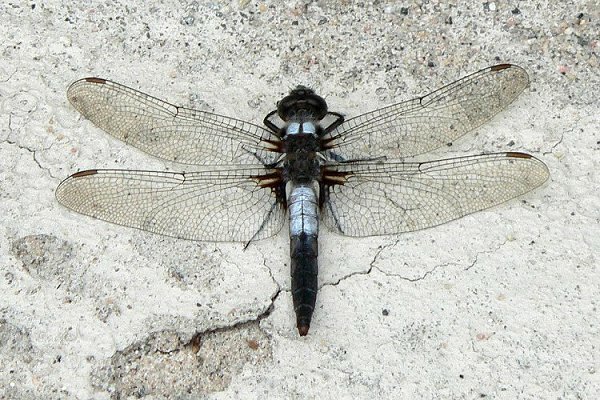 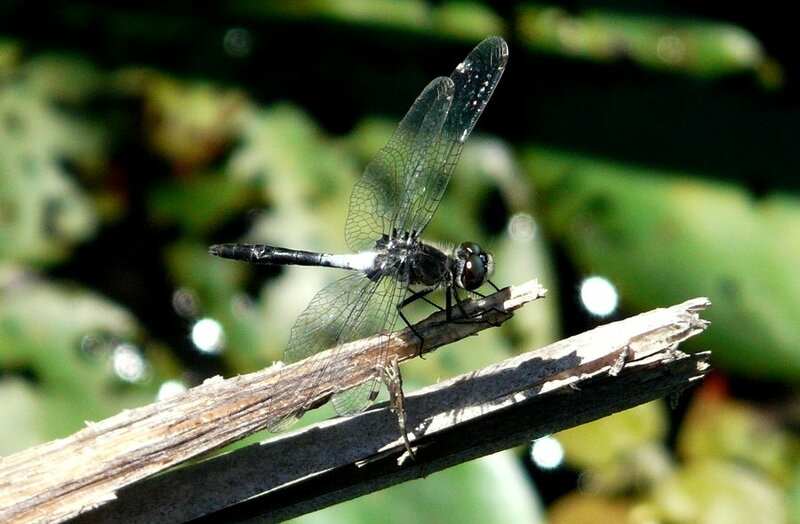 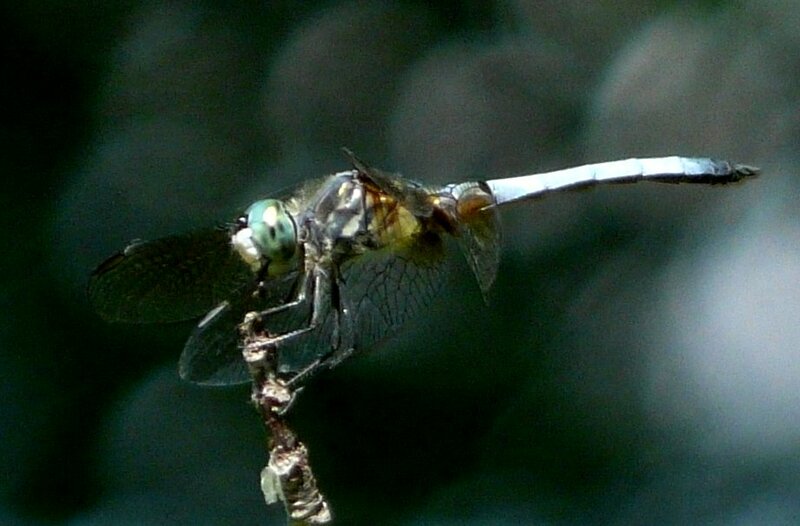 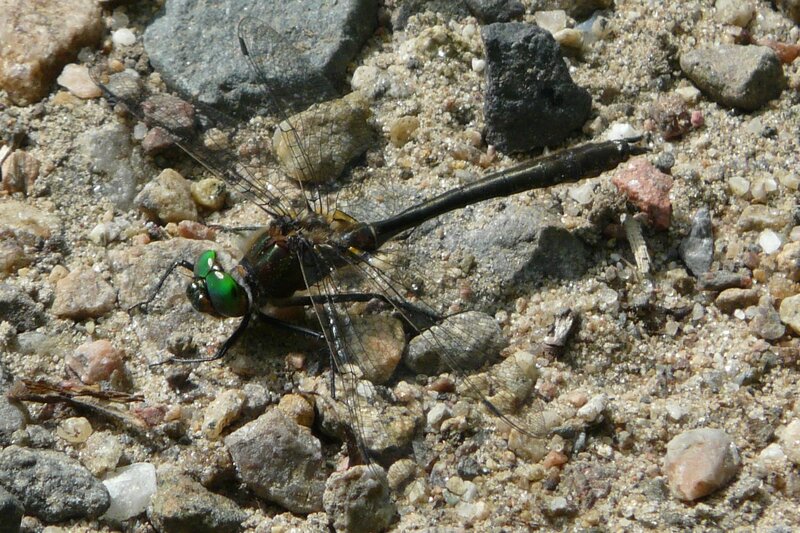 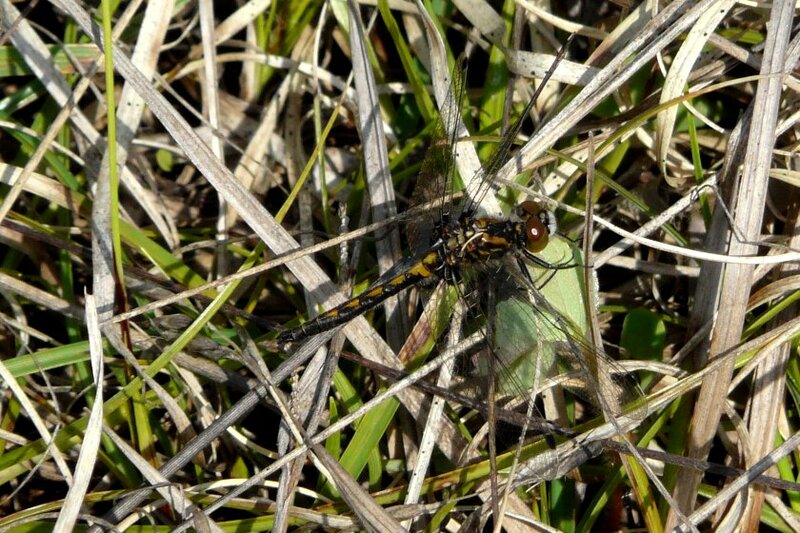 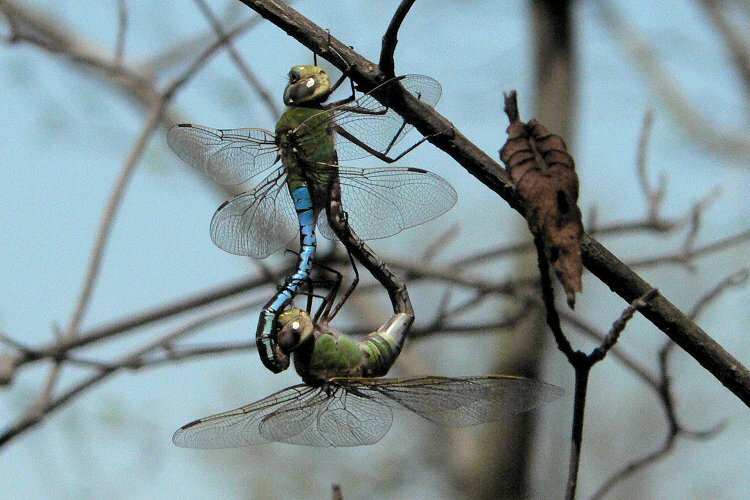 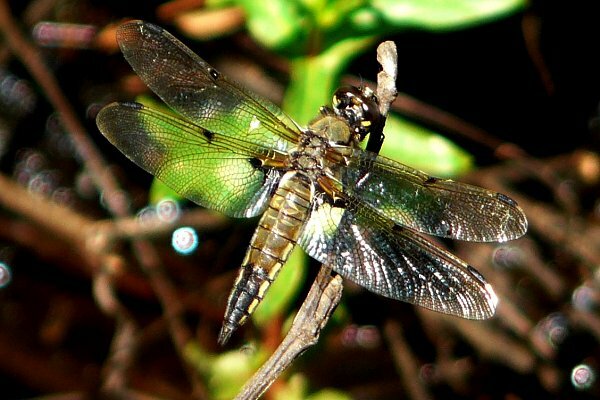 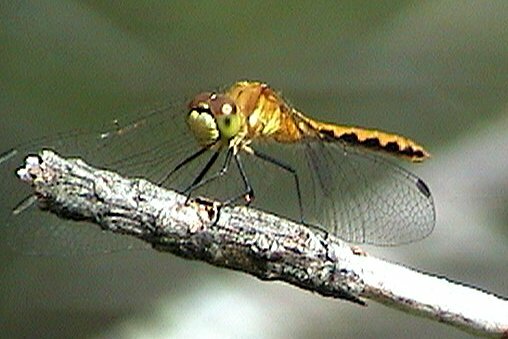 For a fine local dragonfly photo site check out Gillian Mastromatteo's PBase Galleries. 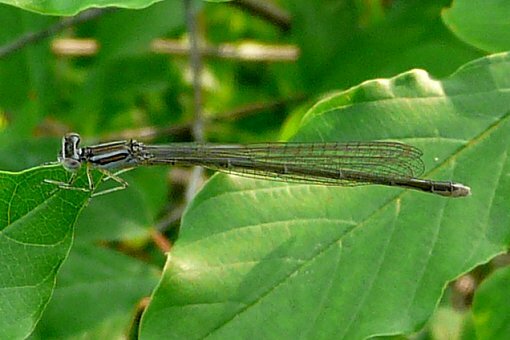 See also former Ottawa resident Tim Allison's Page of Odonates. 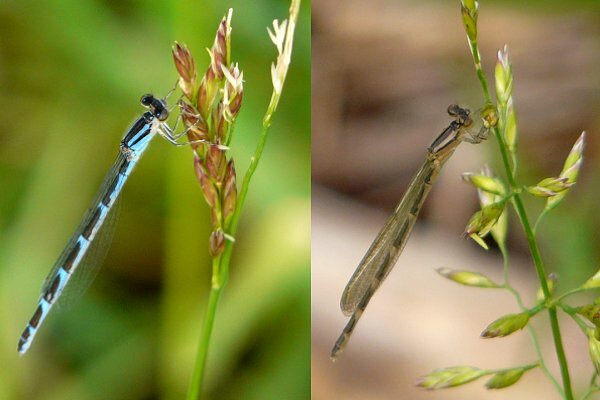 On the page below, rare, local and accidental species are marked R, L and A respectively. 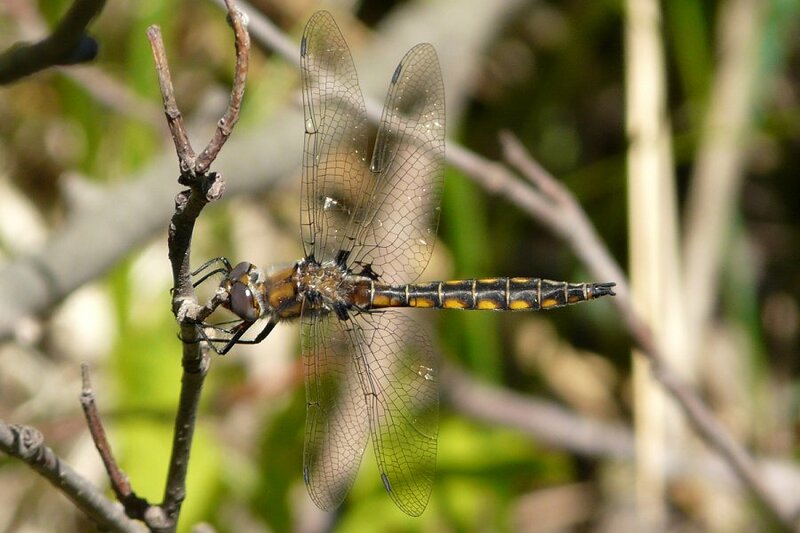 (Photos below by Larry Neily, some taken outside the Ottawa area, but of species found here.) 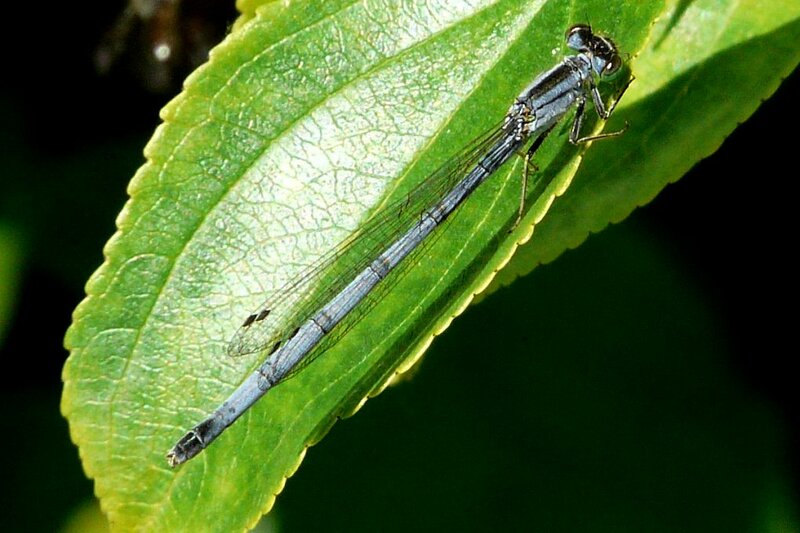 Damselfly photos follow here. 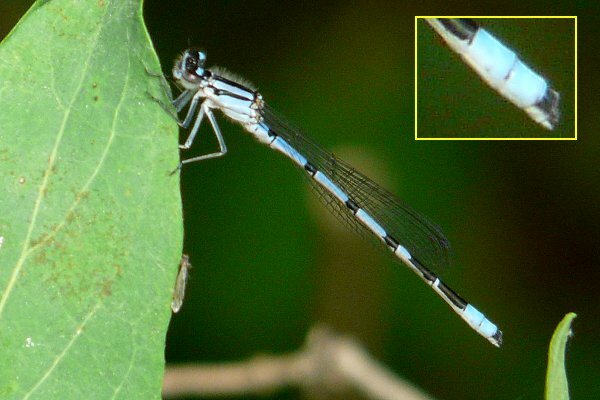 Click on any picture to display a larger image.